Have You Noticed More Fallen Tree Limbs this Summer? Some experts theorize this phenomena is due to a build-up of moisture in the limb. The extra weight of the water accumulation stresses the limb and causes it to break. Water build-up could be the result of leaves not adequately expelling moisture moving through the tree and limb. However, in most cases, there aren’t any obvious signs your tree’s limbs are in distress. Next, reduce the risk by having a professional inspect your trees. At Atlanta Tree Professionals, we can’t always predict which limbs will fall. But we can advise you on which trees are most at risk to your home or property. Call the pros at Atlanta Tree Professionals to learn more about the hazards of your trees and how to have them safely trimmed or removed. ATP brings quality tree care service to your GA home. 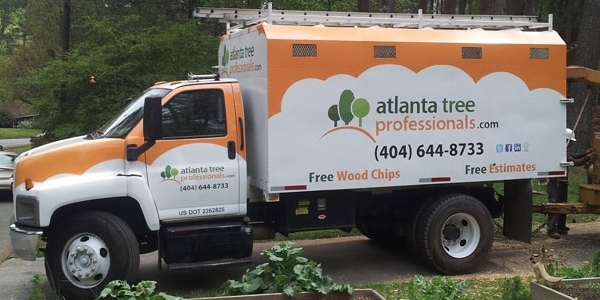 We are your tree service experts serving Sandy Springs, Roswell, Marietta and north metro Atlanta. We’re also a member in good standing with the Tree Care Industry Association, which sponsors the Tree Care Tips website for homeowners.